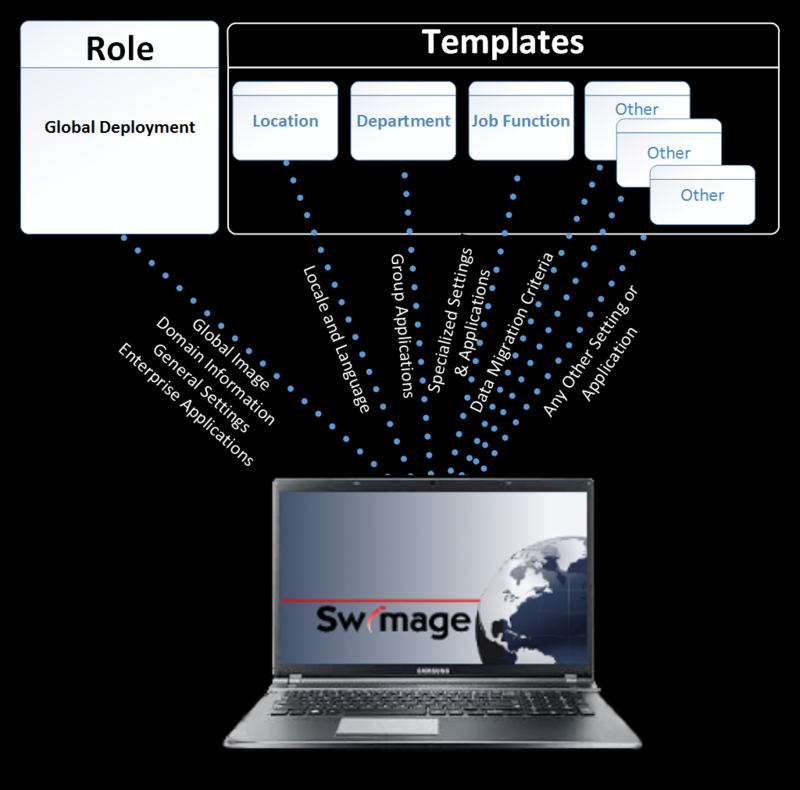 All PCs using Swimage have a Future State record that defines exactly how that PC will look once migrated. The Future State is configured using a combination of Roles and Templates. This method makes PC provisioning a snap with Swimage… Thousands of PC records can be provisioned at once. This all done with no need for scripting or any conditional logic. As illustrated, each PC’s Future State will have a single Role combined with any number of templates. This make the provisioning impeccably easy to configure and extremely flexible. Templates are designed as layers to the Future State and based on the scope of the template, some template settings can be set to override others. Very similar to the way AD group policies work. This way, global defaults can be configured, but as more individualized templates are added, they can override the defaults, further specializing the build. There is no limit to the number of templates a single future state can have assigned.